Yes, it's true! 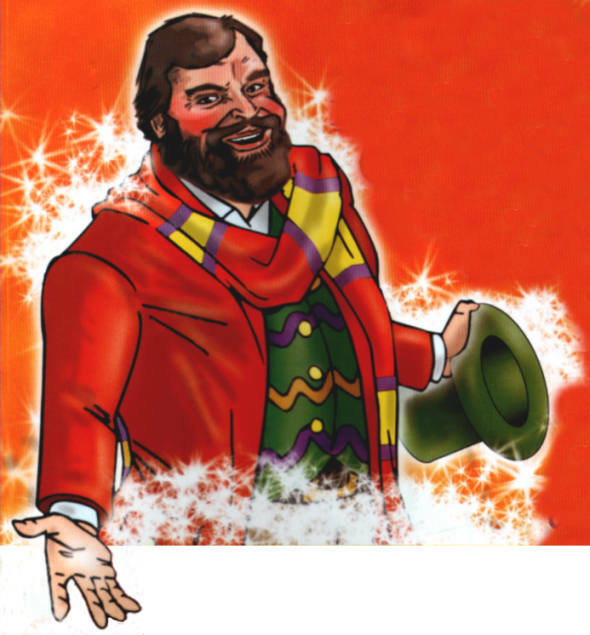 After the exciting announcement about the return of the not-as-popular-as-it-once-was-I-liked-the-one-in-the-scarf television programme, Doctor Who, here at The News Of The Universes we can exclusively reveal that non other then esteemed actor, Brian Blessed, has been cast in the part. Blessed, a veteran of such shows as "Fun At The Funeral Parlour" and "Z Cars" was mooted, erroneously, to have been offered the part as long ago as 1984. However, this was a mere rumour from the Blackpool Doctor Who exhibition, apparently. However, Clayton Hickman's comment about Bill Nighy being Russel T Davies' choice for the part was mere smokescreen. We did some digging and realised that Bill Nighy is an anagram of Brian Blessed, (with one or two changes of letters). This got us thinking. Recently trailers for the new series have been appearing on commercial channels. They depict Blessed as the Doctor in a story that appears to have been based on an old TV Comic Hartnell strip. Tracking down Blessed, the only man to employ his very own THX sound system, to confirm our theories, we discovered him in Luton, preparing for panto. Speaking from a concrete bunker, 10 miles away from him and 3 miles deep, we asked the actor how he intends to play the part. "I like the idea of of basing it on IDS" he replied "Yes, the Doctor should be just like that, the Quiet Man." "I think we all remember the classic silhouette, with the scarf. That's what we are going for here." 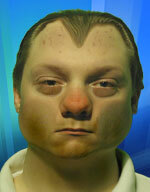 Our intrepid reporter was unable to take the powerful sonic waves emanating from the Bedfordshire area and perished. The rest of the interview we have, quite frankly, made up. So, what's your favourite monster, Brian? And your favourite Doctor, apart from your good self, of course...? Hmm. Perhaps we should look elsewhere for some sense. And some peace and quiet. Also, DWM have confirmed to this reporter over a pint of jasmine tea, that Blessed's Doctor will indeed be taking over from Paul McGann in the magazine's comic strip. "We see the ninth Doctor as being a larger then life character. Imagine Tom's Doctor sober. And of course, he'll have his magic bag to help him out of any sticky situations. We're going retro. Back to the halcyon days of Billy. Time to pay tribute to those wonderful TV Comic strips that were REAL Doctor Who. I mean, honestly... Did people think we were really serious about that talking penguin?" Here for your "enjoyment" is a sample from the new strip that débuts with "Return Of The Fishmen on Planet Zebedee"